NOW SHIPPING: Flocks & Flyways! 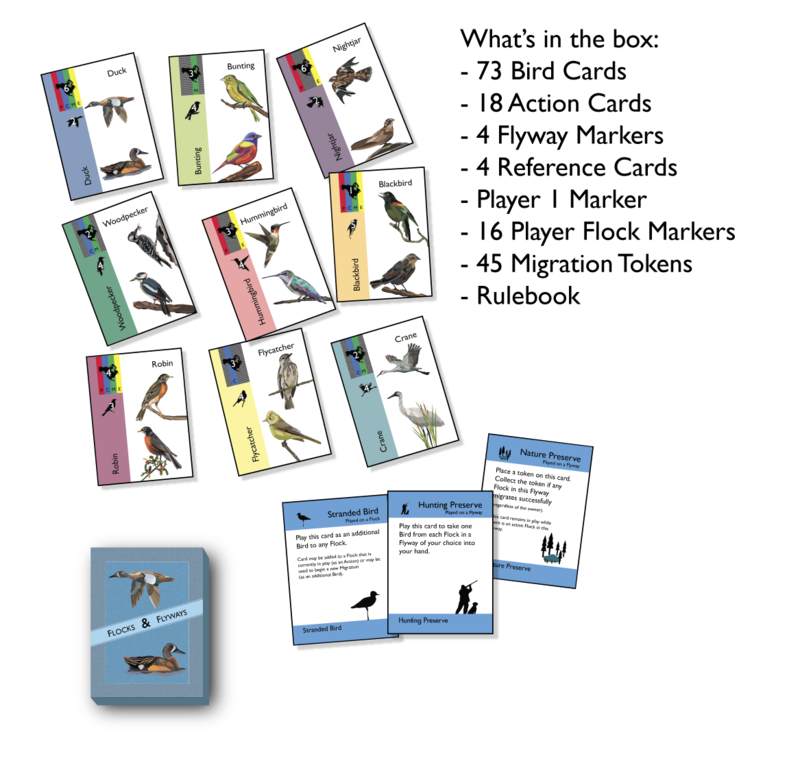 Build up flocks of birds, navigate crowded flyways and migrate south for the winter in this quick, fun, competitive card drafting game! 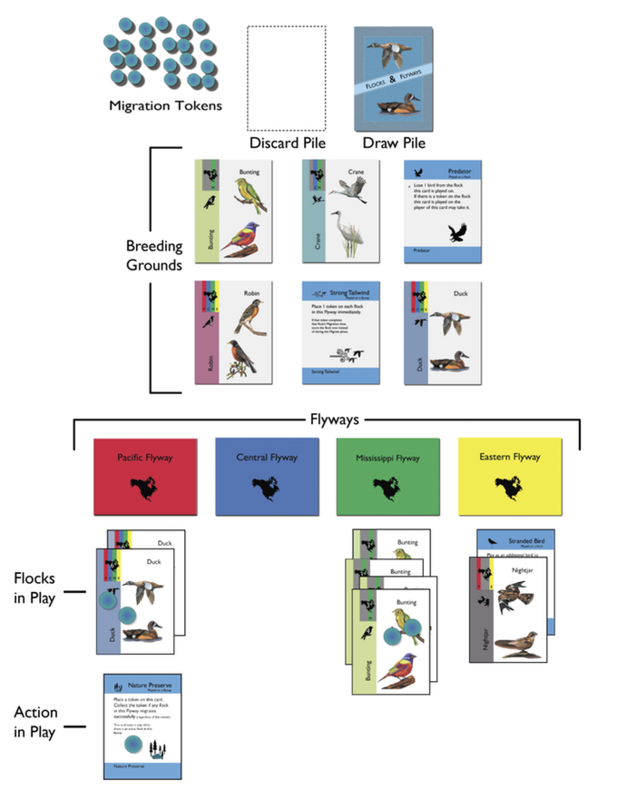 In Flocks & Flyways, the goal is to collect the most Migration Tokens by creating (drafting) and migrating (playing) Flocks of Birds south for the winter to their warm feeding grounds. Players will need to strategically navigate crowded Flyways and catch Strong Tailwinds while avoiding dangerous Predators, Fog and other hazards (actions). The player with the most Migration Tokens when there are no tokens remaining wins the game. You can download a PDF of the rulebook HERE for more on how the game is played. Feel free to send us an email at sharksharkgames@gmail.com with any questions! 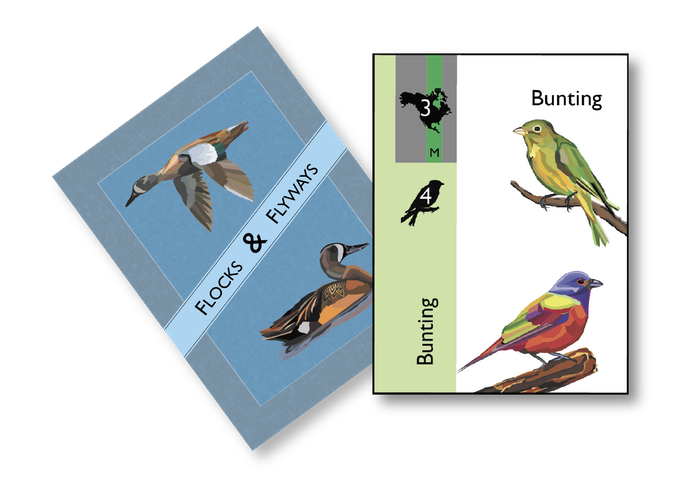 In Flocks & Flyways you’ll be drafting bird and action cards from a common field. As you collect birds you will be able to form flocks and play them into flyways so they can earn Migration Tokens. Each turn you will also have the opportunity to play action cards to help your own flocks or hinder your opponents’ flocks. Here’s a close up example of one of the 9 types of bird cards you’ll find in the game. As you play bird and action cards and earn migration points the playfield will look like this. Rate Flocks & Flyways on BoardGameGeek! 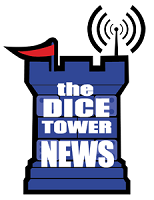 The Dice Tower News podcast with Paul Owen and Roger Hicks included Flocks & Flyways in their “five Kickstarter games likely to fund” feature. We were invited on a really fun podcast with the great folks over at Happy Mitten and talked board games, video game industry bits and bobs, a little about sharks and even… cheese.